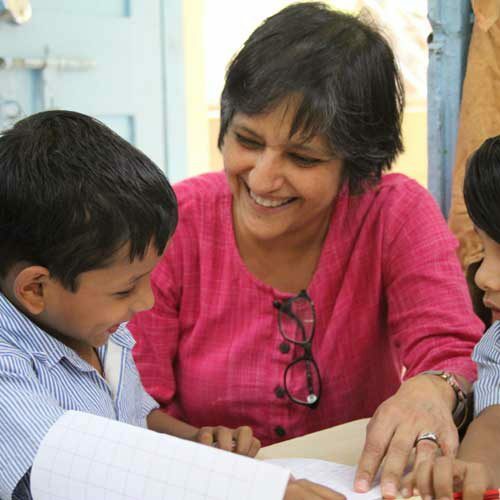 Urmila is the Education Director for Peepul (formerly Ark India), an education-focused non-profit with the mission to provide free and quality education to all children. She joined Ark in 2015 as the Founding Principal of their first school started in partnership with the South Delhi Municipal Corporation (SDMC) and is now responsible for 3 schools and a teacher-training programme. Backed by 30 years of experience in education, Urmila started her career in reputed schools such as La Martiniere, Kolkata and The Shri Ram School, New Delhi where she was class-teacher, academic coordinator and junior school Vice-Principal.